Deprecated function: Methods with the same name as their class will not be constructors in a future version of PHP; ctools_context has a deprecated constructor in require_once() (line 113 of /services/webpages/j/e/jet-share.ca/public/sites/all/modules/ctools/ctools.module). Deprecated function: Methods with the same name as their class will not be constructors in a future version of PHP; ctools_context_required has a deprecated constructor in require_once() (line 113 of /services/webpages/j/e/jet-share.ca/public/sites/all/modules/ctools/ctools.module). Deprecated function: Methods with the same name as their class will not be constructors in a future version of PHP; ctools_context_optional has a deprecated constructor in require_once() (line 113 of /services/webpages/j/e/jet-share.ca/public/sites/all/modules/ctools/ctools.module). Deprecated function: Methods with the same name as their class will not be constructors in a future version of PHP; panels_cache_object has a deprecated constructor in require_once() (line 113 of /services/webpages/j/e/jet-share.ca/public/sites/all/modules/ctools/ctools.module). Generally if you fly less than 35 hours annually, business jet charter services will be your best travel solution. 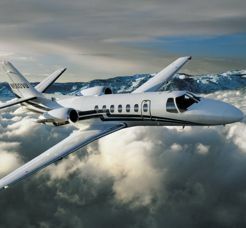 Whether you need a charter flight to Ottawa, New York, Florida, or anywhere in between we have the capability to get you there in a timely and stress-free manner at very attractive prices. At Jet-Share, we aim to meet your specific travel needs. Our experienced flight specialists work with you to ensure that the trip planning process is simple and efficient and your flight is effortless and in-line with your goals. From in-flight catering to ground transportation to customs arrangements, we handle everything so you can travel stress-free! For more information on our fleet and to find an aircraft that best meets your particular charter needs, explore our aircraft HERE.